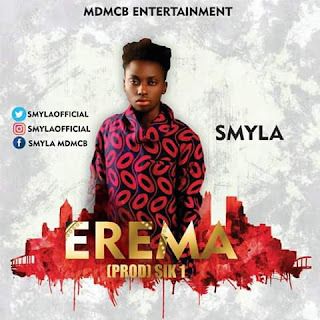 As we anticipate the “Valentine's Day” which is on the 14th of February — prolific PH based artiste, Smyla releases this love song to make your love life more memorable. Falling in love is a very beautiful thing, and that has led him into putting together this fascinating tune; he titled it “Erema”. This was produced by talented producer, Sik 1.